Welcome to the Waterford Jr. Basketball Website !! What is Waterford Jr. Basketball ? Waterford Jr. Basketball is a competitive basketball program for boys and girls in 3rd - 8th grades, attending schools that are part of the Waterford Union High School District. These teams participate in competitive leagues with other school-based teams from Southeastern Wisconsin, and also compete in a number of weekend tournaments throughout the season. Our Waterford Jr. Basketball teams work closely with the Varsity Boys' & Varsity Girls' basketball programs at Waterford Senior High School, and are designed to be a feeder program to our High School Varsity programs. Players in Waterford Jr. Basketball are also able to participate on school teams and with other local basketball programs if they choose. Waterford Jr. Basketball is not an "equal playing time" program. Playing time is earned through demonstration of hardwork and talent at practices. Online Registration for Waterford Jr. Basketball for the 2017-18 season is now closed. If you missed us for this season, please check back for next season !! Good Luck with your Basketball for this season !! Registration Fee - $115 - Includes all league fees and insurance coverage. *For 2017/18 also includes membership in the Milwaukee Junior Bucks Program. 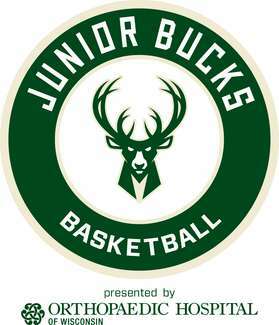 Players will receive a complimentary ticket to a Bucks game on Waterford Jr. Basketball night (date tbd), "on-court", a Jr. Bucks duffle bag, and participation in a skills clinic to be held at Waterford HS (date tbd). Uniform Fee - $125 (only if new uniform is needed) - Includes reversible shorts & jersey, as well as customized shooting shirt (name on back). Individual pieces can be ordered as well if needed (individual prices tbd). Sample sizes will be available and fitted for your child at tryouts. or turned in at time of Girls informational meeting, or Boys tryouts. For Boys, payment is required prior to, or at the time of tryouts. Players will not be allowed to tryout if payment has not been received. Questions ??? Please contact Mike Borchardt at 262-993-7703. Thanks & Welcome to WJB !!! Girls tryouts will be conducted by Varsity Coach Dena Brechtl only if needed, however, there will be a MANDATORY PLAYER/PARENTS MEETING for ALL Girls Players & Parents on Sunday, Sept. 10 from 2:00 - 4:00 pm in the WUHS New Gym. Please make plans to attend the meeting for your grade, and be prepared to make registration payments at this meeting. Uniform samples will be available at the meeting for sizing. All players are encouraged to attend the Sunday tryout if possible, New players to WJB are asked to attend both tryout dates. Some players may also be asked on 9/17 to return on 9/21 for further evaluation. Players not able to attend either tryout may not be offered a position with WJB. Parents and players are STRONGLY encouraged to prioritize tryouts for at least 1 date over fall baseball or other activities. Thank You !! For Tryouts: Please Report to the Atrium outside of the New Gym at Waterford Union High School at least 15 minutes before your scheduled tryout time. Registration can be completed in person prior to tryouts if needed, but pre-tryout online registration is encouraged. Please arrive early if you plan to register the day of tryouts. You may also make arrangements to register in person prior to tryouts by calling Mike Borchardt 262-993-7703. Thank You. Click on "Handouts" to the left for tournament flyer and Registration form ! !